I tracked down Taiwanese stinky tofu at the Shilin Night Market in Taipei, which happens literally every night. It’s immediately apparent why the stinky tofu here is different from that of Shanghai. First off, you don’t smell if from nearly a mile away. This is probably due to a different fermentation process, but also because it is cooked by deep frying. 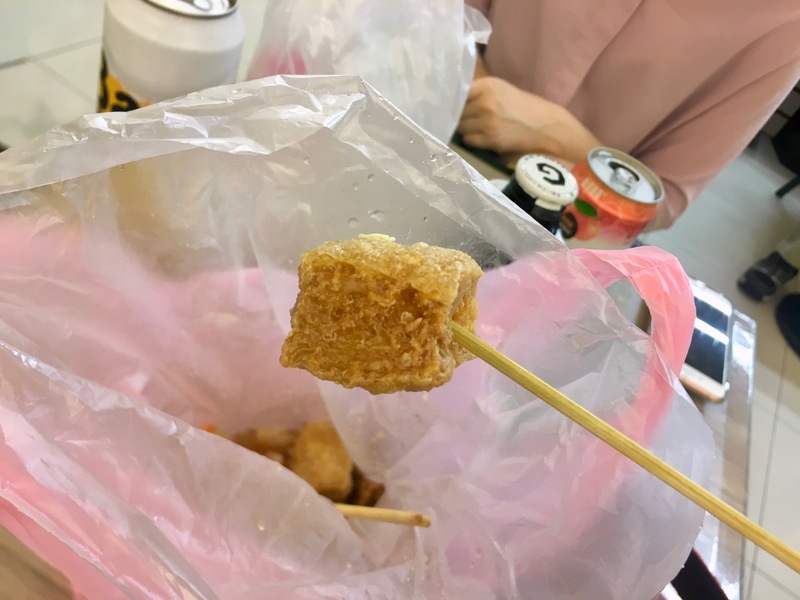 It’s then tossed into a bag for eating purposes with a semi-sweet sauce, allowing the tofu to soak up the sauce flavor, while also changing the texture of the tofu. The result is something entirely different, with a distinct sponge-like texture and more complex overall flavor than that of Shanghai. I can’t say which is better, especially considering how long it has been since I have had the Shanghai variety, but each is very distinct and absolutely worth trying. That may sound crazy coming from an unvegan, but I couldn’t be more confident in stating it.